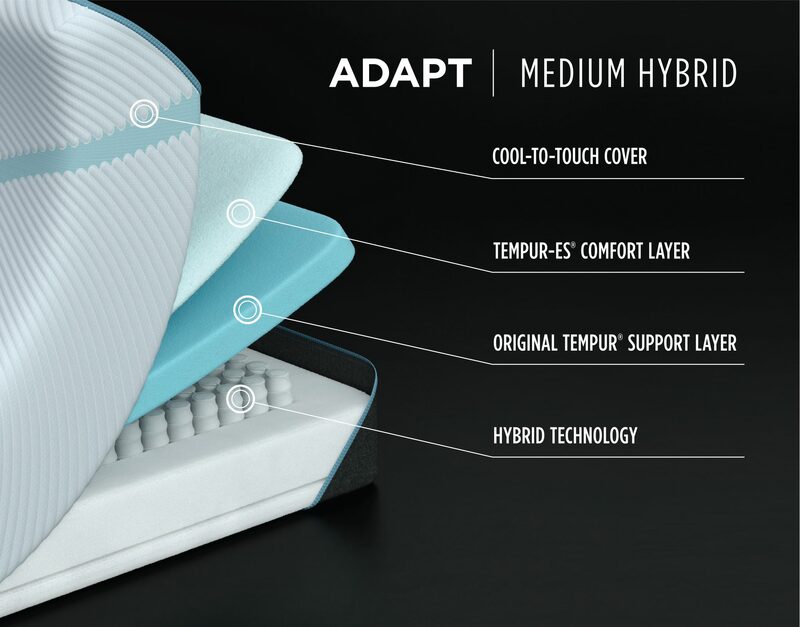 A – SmartClimate® Dual Cover System Next-generation technology featuring a zip-off, cool-to-touch outer layer and super-stretch inner layer for convenience and comfort. 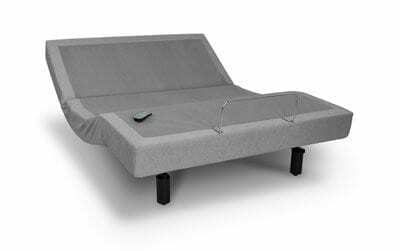 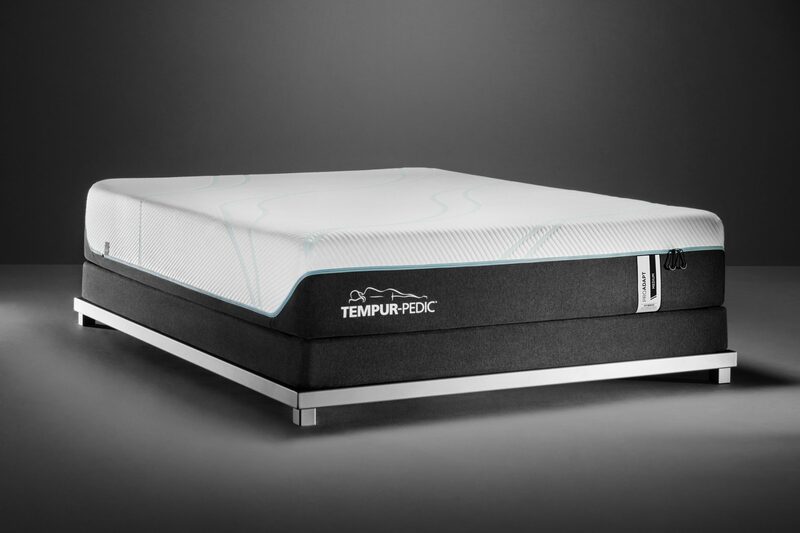 B – TEMPUR-ES® Comfort Layer Softer feel works in combination with other materials to support and relax. 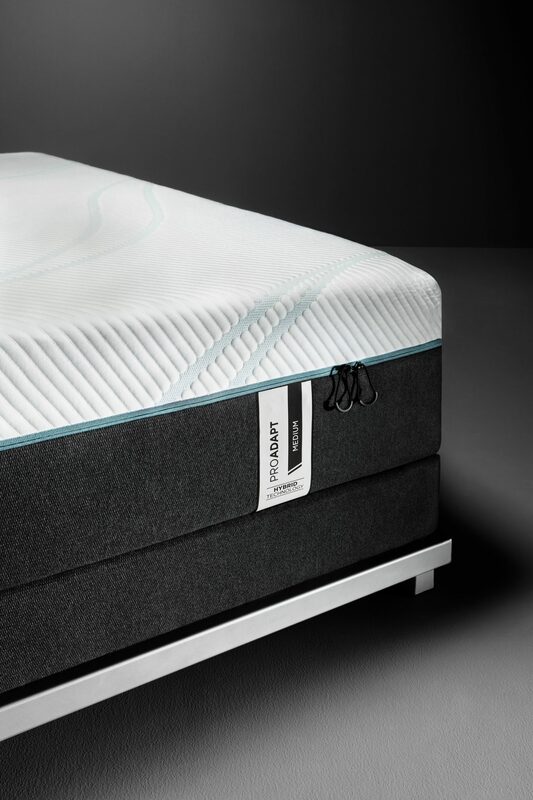 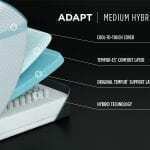 C – TEMPUR-APR™ Support Layer Our most pressure-relieving material ever — made for deeper, more rejuvenating sleep D – Hybrid Technology 1,000+ premium spring coils designed in-house to work with our material.